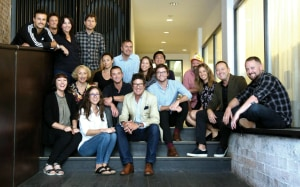 and is part of a new feature AdNews introduced last year called Spotlight. Support AdNews by subscribing here. VCCP likes to think of itself as the challenger to bad habits across the industry and says it’s prepared to fight all the ‘bears’ across adland. We spoke with VCCP CEO, Andrew Holt, to find out what the agency has been up to. VCCP was born with a challenger spirit, we challenge the bad habits of the ad industry in both our values and how we work. More importantly, our business exists to help our clients rise to the challenges that shape their business, using communications to be more competitive, outwit the competition and drive transformational growth. Our logo embodies this challenger spirit. 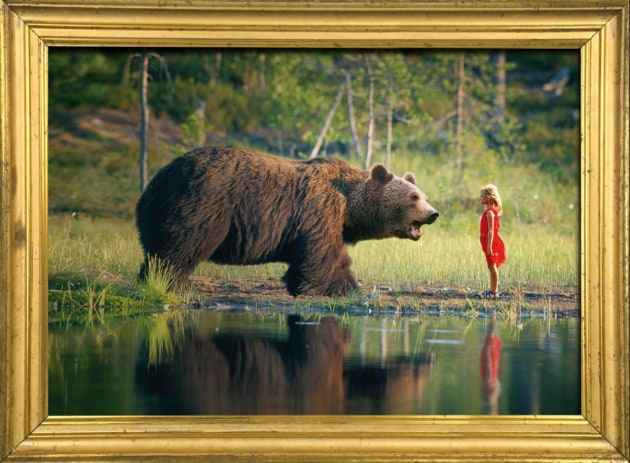 It’s a person standing up to a bear — a metaphor for our willingness to stare down a challenge. We like nothing better than to go on ‘a bear hunt’ with our clients. That’s why we describe ourselves as ‘the challenger agency for challenger brands’. We opened in Australia in 2013 to help Compare the Market launch here with the meerkat campaign, which has propelled them to market leadership by bringing personality to a previously parity category. Since then, we’ve been fortunate to work with some great challenger brands like ING, Torrens University, and Hipages, as well as helping high profile incumbents like Fitness First and Cancer Council Australia find their inner ‘David’. What do you do? How has this changed? We are the challenger agency for challenger brands and our business exists to help our clients rise to the challenges that shape their business. We start every business conversation with a simple, disarming and commercially powerful question: “What’s the bear?” — what’s that one big challenge, issue or opportunity the business faces? By working with our clients to crystalise and mutually agree on this, and then by inviting them to go on that bear hunt with us, we create ideas that challenge the conventions of their category. This approach has become more substantive as our business has grown. We launched a design business last year called Someone, to create ‘brand worlds’ for clients and challenge the separation of design from advertising. This year, we’ve added ‘brand experience mapping’ to help clients better understand and influence their customer’s experience, and also created an in–house content production team called VCCP Productions. So, now when we go on a bear hunt we know we can confidently execute ideas across any part of the customer experience. After all, it only works if it all works. What is your company’s point of difference? Challenger thinking. Communication is a commercial tool and our job is to help our clients challenge the status quo in their categories and unlock transformational growth. Challenger thinking is about using communications to be more competitive, identifying a clear source of business, focusing on the ‘bears’ holding the brand back and overcoming them with distinctive work. We strive for work that populates culture, we don’t make work for award juries, but for people to hopefully notice, relate to and remember. Our litmus test is always, how will people talk about it? If we can’t describe our work to our mums as “the one with Isla Fisher” or “the cool old people rocking life” we start again. What is the biggest business/industry challenge right now? People. Advertising has always been a team sport and never more so than in today’s fragmented landscape. To thrive, we need talented people who can collaborate. As an agency and as an industry, we need to do more to attract, inspire and challenge them in the face of many other compelling callings for their talents. How do you view the competitive landscape? Changing rapidly. On any given day our competitors could be agencies, media platforms, consultants or even our own clients. The challenge is to be smart enough to work out where we can add value and humble enough to collaborate with others to enable our clients to best realise that value. Why is VCCP one to watch in 2019? Australia is still a highly concentrated market by global standards, with the leading brands in all categories dominating over 50% market share. This means most Australian brands are actually challenger brands and increasing disintermediation across all categories will only create more. As competition increases, clients are increasingly looking for challenger thinking: outsmarting not outspending, contravention not convention, and distinction not differentiation. As a challenger agency, we think we’re well placed to help. With a bear as our logo, four legs are always welcome. In ‘season 4’ of our Isla Fisher campaign for ING, we continued to challenge the perception that all banks are the same and all are self–serving. Not only does this demonstrate the enduring effectiveness of a well–executed product demonstration, but it’s also a testament to the power of a distinctive brand asset. The ‘bear’ in the fitness category is the accepted convention to focus on the physical benefits of exercise and not pay enough attention to the mental and emotional rewards. The #howfitfeels campaign challenged this convention via a thought–provoking content series that captured the impact of exercise on coach potatoes and, crucially, the impact of abstinence on existing exercise junkies. It ran online and caught people’s imagination, driving significant earned media exposure with over four million views and extensive coverage for Fitness First on Sunrise and Gruen. We challenged the category Hipages played in, stepping beyond task–based competitors to reposition the brand as an effortlessly efficient technology disrupting outmoded and inefficient ways of finding, hiring and managing tradies. ‘Change the way you tradie’ launched across TV, out of home, and digital, alongside guerrilla activations in Sydney, Melbourne and Canberra and app downloads have skyrocketed. This first appeared in the AdNews February 2019 magazine and is part of a new feature AdNews introduced last year called Spotlight. Support AdNews by subscribing here.